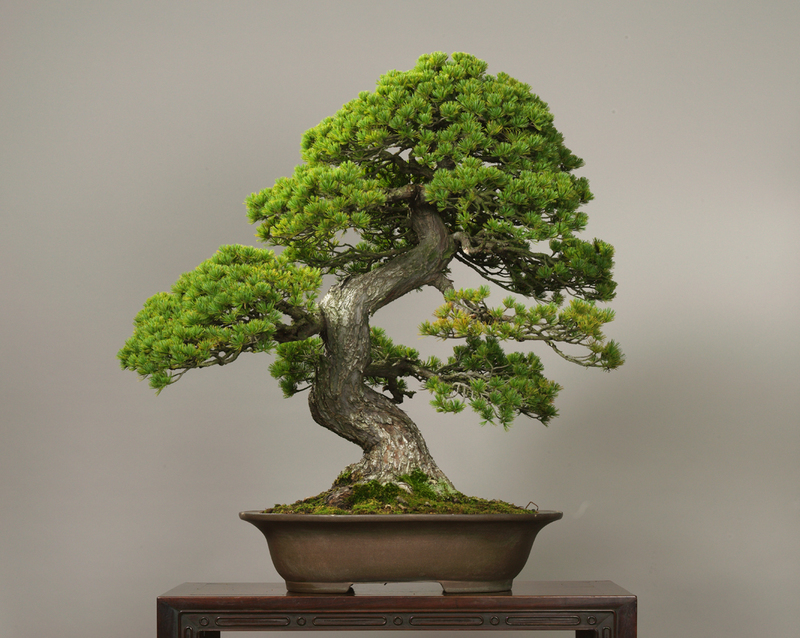 This Five Needle Pine gives a strong impression with its rising trunk colored with swells. After the accumulation of many years the trunk has become tinged with a peculiar whiteness, and shows exceptionally beautiful bark. Combining both strength and grace, this piece has been titled Shikishima, meaning the Country of Japan.